This course provides the key skills you need to shine as a manager, from leading a team to setting a vision and achieving big picture goals. There are a lot of expectations when you take on a management role, and when you are brand new — it can feel completely overwhelming. 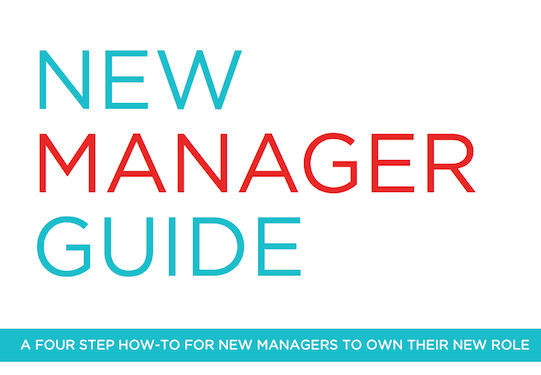 That’s why we created The New Manager Guide: A Four Step How-To For New Managers To Own Their New Role. and put them into one handy resource that you can refer back to throughout your first few weeks and months as a manager. Each chapter ends with a set of exercises and questions, designed to help you apply the principles you just read about to your real-life situation and create a realistic plan for success. This content is designed to be super actionable and accessible to managers in any organization. In every chapter, we outline not just management principles, but also strategies and tips that you can put into action that very same day. We want this guide to be the resource you can turn to on Day 1 or Day 100 of your new role as a manager. We included answers to some of the most basic questions about first days on the job, as well as high level topics related to long term strategy and big picture thinking. In addition to four complete chapters on the principles of management, we’ve also included a worksheet at the end of each chapter to help you synthesize the lessons and apply them to a plan you can implement on your team today. You became a manager because you were already amazing at your job, so now is your opportunity to really shine and show everyone why you were promoted. Let us give you the tools you need to step confidently into your new role and begin leading your team with knowledge and skill. Become the best manager you can, faster than ever, using the tips and tools provided by the experts at Popforms. Sign up for the New Manager Guide today and get everything you need to truly shine in your brand new role. We can’t wait to see what amazing things you’ll do.